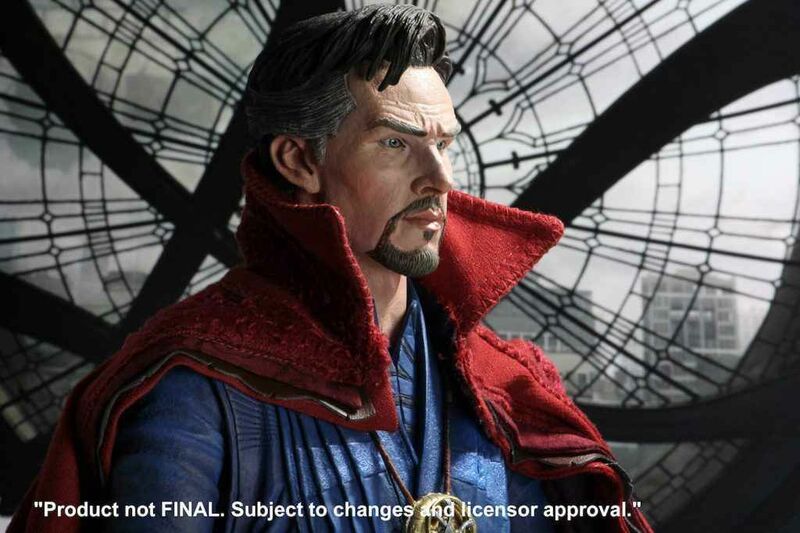 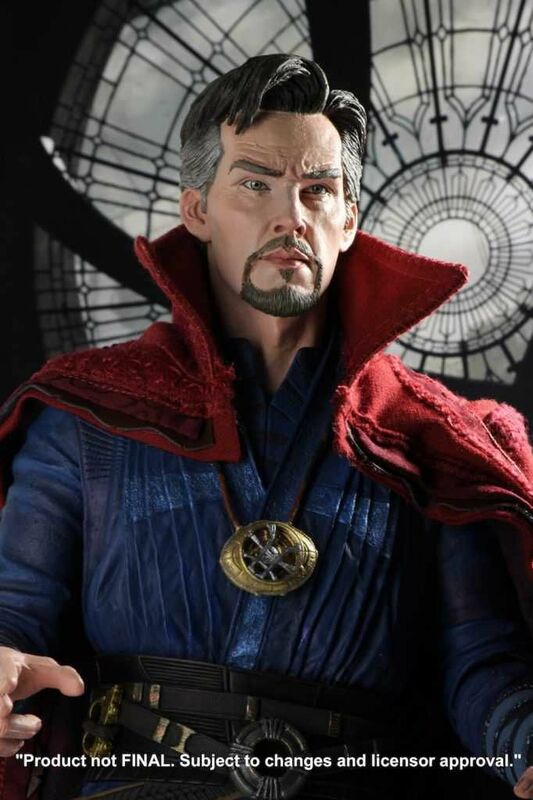 This addition to NECA’s line of incredibly detailed quarter scale action figures comes from Marvel’s 2016 Doctor Strange movie! 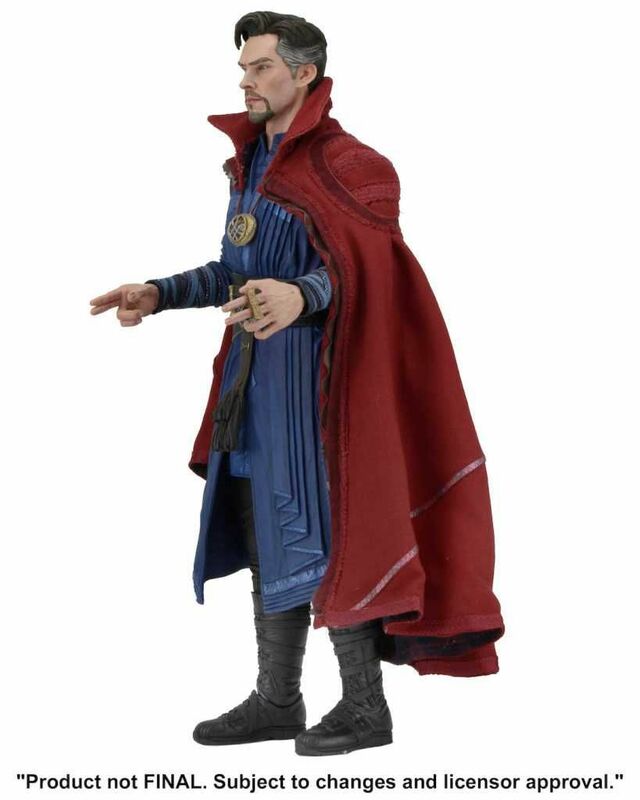 Contact to confirm availability and date of arrival. 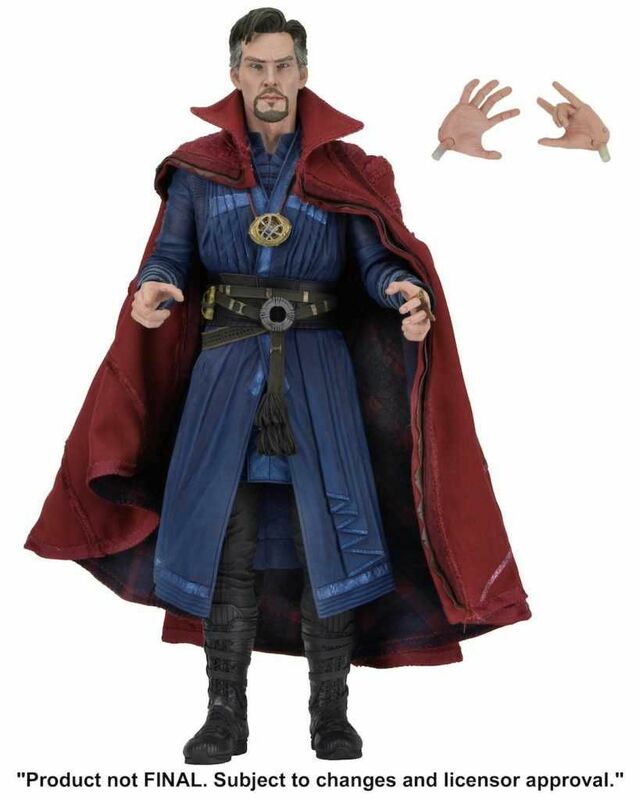 Based on his on-screen appearance, the former surgeon turned student of the mystic arts stands 18” tall and features the likeness of Benedict Cumberbatch. 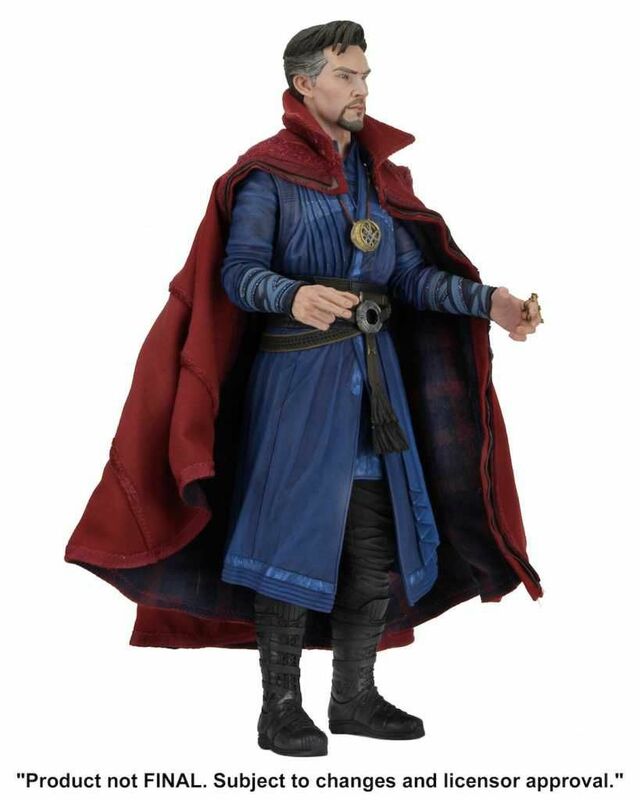 The figure is supremely poseable, with over 25 points of articulation and wears a detailed fabric Cloak of Levitation with inner wire armature, so that it can be posed like the sentient relic it is.